Last week, Canadian prime minister Justin Trudeau unveiled a plaque to inaugurate country’s first National Holocaust Monument which irked Canada’s Holocaust industry. Why? Because it didn’t mention the new Jewish religion, the Six Million Jews Died. “The National Holocaust Monument commemorates the millions of men, women, and children murdered during the Holocaust and honours the survivors who persevered and were able to make their way to Canada after one of the darkest chapters in history. The monument recognizes the contribution those survivors have made to Canada and serves as a reminder that we must be vigilant in standing guard against hate, intolerance, and discrimination,” Trudeau’s plaque read. “How could the prime minister permit such a glaring omission of reference to the fact that the millions of men, women and children who were murdered were overwhelmingly Jewish? If we’re going to stamp out hatred towards Jews, it’s important to get history right,” opposition member David Sweet asked in Canadian parliament. Objective history books tell us both the plaque and David Sweet were lying. Canadian government refused to accept Jewish immigrants from Europe during Nazi era for three reasons; 1) the great depression, 2) Christian majority’s hatred of Jews, and 3) opposition from the organized Jewry who wanted European Jews to immigrate to British mandated Palestine. The organized Jewry still blame prime minister William Lyon Mackenzie King (1921-30 and 1935-48) for Ottawa’s refusal to accept Jew refugees. MP David Sweet is a racist and professional Israeli propagandist. He was the ‘power behind’ in banning the US academic and author Norman Finkelstein delivering a speech at Mohawk College in Hamilton in February 2011 (here). David Sweet is famous for delivering speeches at Jewish gatherings about how Jews were expelled from Arab lands (here, here). A great majority of Canadian don’t hate country’s Jewish minority even though the Jewish elites have controlled Canadian government and media since Pierre Yves Elliott Trudeau became prime minister in 1968. It’s the organized Jewry which hate Canadian. The monument is built on Federal government property in Ottawa and is fully-paid by Canadian taxpayers. 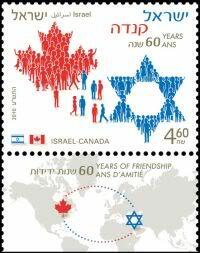 It was commissioned by pro-Israel former prime minister Stephen Harper in 2013. Yes – some Dutch are wakening from their Zionist brainwashing. Professor Dries Van Agt, former justice minister and prime minister, was once a blind supporter of the Zionist entity. Last year he said that Netanyahu is a war criminal and should be dragged to ICC.